IBM is the largest technology and consulting employer in the world, serving clients in 170 countries. In this new era of Cognitive Business, IBM is helping to reshape industries by bringing together our expertise in Cloud, Analytics, Security, Mobile, and the Internet of Things. We are changing how we create. How we collaborate. How we analyse. How we engage. IBM is a leader in this global transformation so there is no better place to launch your career. IBM Global Business Services (GBS) is a team of business, strategy and technology consultants enabling enterprises to make smarter decisions and providing unparalleled client and consumer experiences in cognitive, data analytics, cloud technology and mobile app development. With global reach, outcome-focused methodologies and deep industry expertise, IBM GBS empowers clients to digitally reinvent their business and get the competitive edge. We outthink ordinary. Discover what you can do at IBM. We are hiring. We are currently recruiting an Application Database Administrator- DBMS for a 7 Months fixed term contract, based in Melbourne. Configured New databases for development, testing and production environment with adhering standards. Designed and deployed Teradata Work Load Management(TASM), Yarn queue Manager(Hadoop) and Aster Workload Management to optimize resource usage by multiple application in the Teradata Unified Architecture environment. Implementation of new Teradata Active System Management (TASM) plans whenever there is a requirement from business. Teradata database maintenance including User Access, Capacity Planning and Resource utilisation. Platform Environment Management for Production and Test Environments as per client security policies and standards. Implementation of Backup, Archival and Recovery policies on Teradata Unified Data Architecture environment. Co-ordination with IBM tape management vendor for regular offsite backup and adhoc Teradata table restoration operations. Management of Network security policy implementation on the application hosts with client Network team to open specific ports. Monitoring Teradata System during critical Batch processing using Viewpoint and SQL utilities. User Access and Policy Management for various groups across the Teradata environment and access control on hdfs (Hadoop File System) directories. RDMS & Hadoop Backup and archive solutions – 3 Years. IBM is committed to creating a diverse environment and is proud to be an equal opportunity employer. All qualified applicants will receive consideration for employment without regard to race, color, religion, gender, gender identity or expression, sexual orientation, national origin, genetics, disability, age, or veteran status. 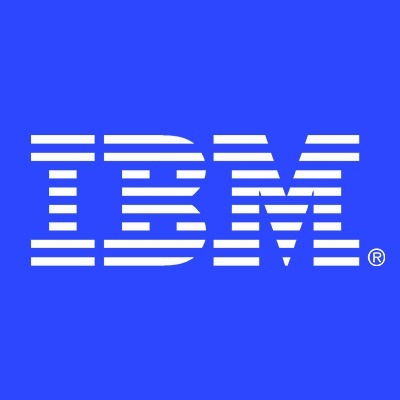 IBM is also committed to compliance with all fair employment practices regarding citizenship and immigration status. Click on any icon below to select a contact. Out & Equal is the worlds' premier nonprofit dedicated to achieving global LGBT workplace equality.